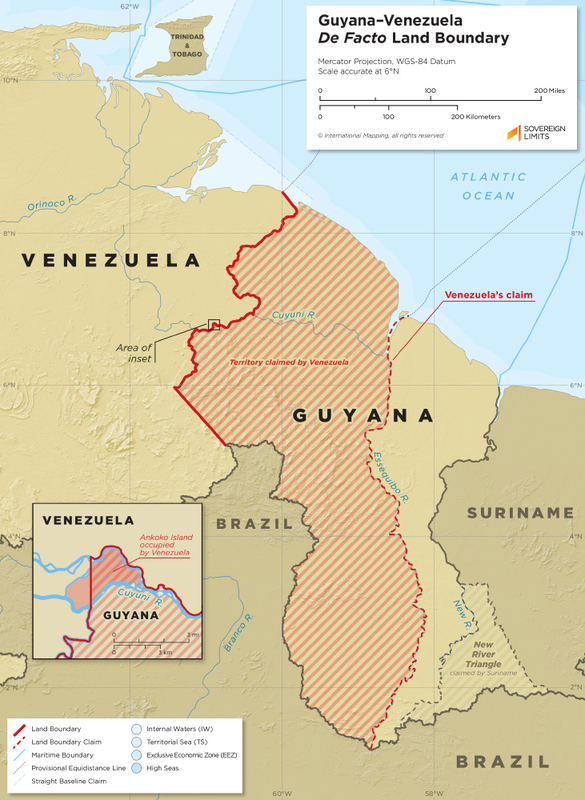 The land boundary between Guyana and Venezuela has been disputed since its colonial inception. In the 1840s, the British government had the border unilaterally surveyed and accepted the proposed line which encroached on Venezuelan territorial claims. The boundary has since been arbitrated (1899) and bilaterally agreed upon (1905) but remains in conflict. 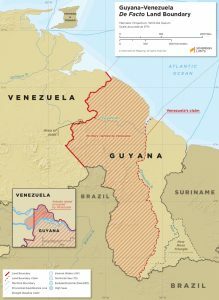 While this line, accepted by Guyana, is the current de facto boundary, Venezuela maintains their historic claim to all territory currently administered by Guyana west of the Essequibo River.